As someone who designs forms I look at forms. I have done this my whole life. It has been interesting to see various visual trends come and go over time. In the past few years though, I have seen some very big changes to forms in terms of what is asked, or more how it is asked. We no longer live in a world where gender is as black and white as it has been previously. So now forms sometimes allow you to choose something other than “Male or Female”. 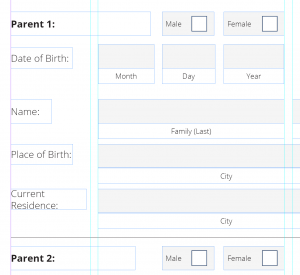 I even worked on forms that were adding gender to each parent because no longer can it be assumed that everyone has one male and one female parent. It is really exciting to see these changes occurring at this small but life changing level for people. What is your gender. this is no longer a simple answer of male or female. 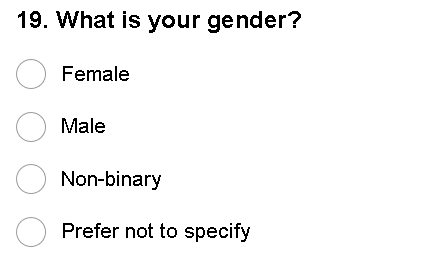 People can be non-binary or simply prefer not to answer this question so now the forms reflect this. Parent 1 and Parent 2 don’t have to be opposite genders.